We often receive requests from fellow collectors asking us to help them find a certain piece that they�re after and whilst we do our best we can�t find every piece. In the hunt for that elusive piece we often suggest that one type of place you can visit almost every day of the year is an antique centre! 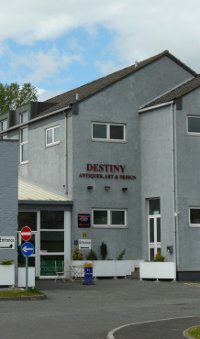 These are quite often large buildings which offer a selection of goods from different dealers often from all over the UK giving you an opportunity of browsing a wide and varied selection of goods. 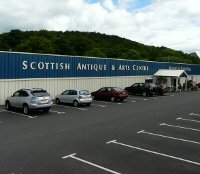 This antique centre is located between Dundee and Perth just off the main A90 route. It�s housed in a very large purpose built building that has ample parking for cars and indeed for coaches. Inside it offers visitors a large selection of antiques, art & collectables as well as selection of modern new furnishings, a caf� and toilets. All items are very well presented and staff seemed friendly and helpful. It was very easy to browse (no stepping over piles of bits & bobs on the floor!) and appeared to be popular with plenty of visitors. It�s certainly worth a visit if you�re in the area. Visit their website for further information - click here. Once again this antique centre is very handily located, just outside of Perth on the grounds of Perth Airport to the west of Dundee. This antique centre offers a selection of antiques and furniture along with some art, giftware and home furnishings. There is a coffee shop on site that certainly smelt very nice and at the time was offering some very tasty Orkney ice cream! There is ample free parking and the centre is currently open 7 days a week. For further information visit their website - click here. 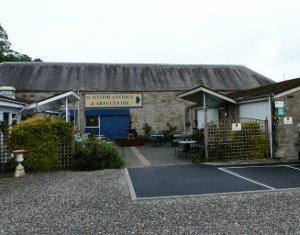 This centre is run by the same people who run the Scottish Antique & Arts Centre at Abernyte. This branch is located near Doune, just north of Stirling. Once again it is a very large building housing a large selection of antiques and collectables including pottery, ceramics, glassware, jewellery and silver items. There is lots of parking on site and what appears to be a very popular caf�. The antique centre is laid out over a series of different rooms which after a few minutes you�re able to navigate easily. Items have been displayed very well and staff once again appeared to be friendly and helpful. When we went it was very busy with the car park almost full, it certainly seemed a popular place. For further information visit their website - click here. Do let us know if you�ve visited any antique centres recently. If you have a photograph even better, we�ll then be able to add it to our site to enable other people to read your reviews on it.